BollywoodGaram.com: Just one day after the Master Blaster Sachin Tendulkar retired for good, he addressed the media at a press conference which was held in Mumbai. The veteran played his 200th and final Test against the West Indies at the Wankhede Stadium. 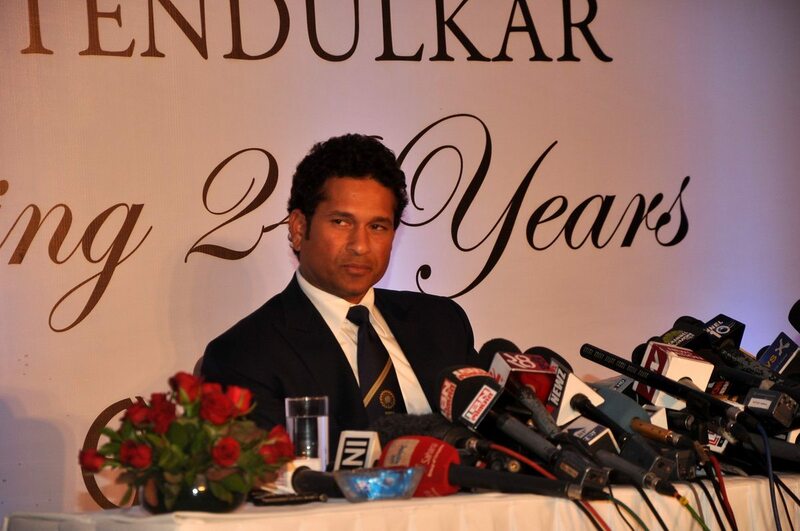 While speaking to the media, Sachin said, “Playing international cricket for 24 years was the most important thing of my life. Cricket has been my life, it was oxygen, I have played for 30 years.” Tendulkar went on to say that 75 percent of his life has been cricket and also added that in the past 24 years, he faced various challenges due to his overwhelming desire to play for India. Sachin also said that he had plenty of plans for his retirement and he made it a point that whenever he decides, he would let the media know about his retirement.